The statistics is available for users with sufficient rep, but not everyone can see what happens behind the scenes, so here's a screenshot. I'm not concerned with the number of questions closed by tchrist, who is ELU's mod, many of the questions closed were well deserved and a few were left open. I am, however, very surprised by the number of questions reviewed. Have I been sleeping under a rock all these weeks? Is this typical? I thought there was a daily limit, a maximum of twenty reviews then SE blocked users from continuing. It's happened to me many a time, you get into the swing of things and then -BANG- I'm blocked and I can't review until the next day. Personally, I think twenty questions is too low a number, and experienced users, if so inclined, should be allowed to handle a greater "workload" But isn't 82 reviews too many for any user? I've tried digging in SE Meta to find an answer, and I discovered that Stack Overflow users can close up to 40 questions per day. Is it the same for EL&U users? Has this limit been increased, and are mods exempt from this limit? It says: Thank you for reviewing 20 close votes today; come back in 13 hours to continue reviewing. But tchrist's answer suggests that that number is 24. I don't understand. We should probably be like the way that the more trafficked sites and each have 40 close votes per day, not the current 24. The direct answer is that yes, moderators can cast unlimited numbers of votes to close, reopen, delete, or undelete posts because these are considered moderation activities. You must just have been unaware of this, but it has always been that way. Actual votes are still limited in the normal way, however. I don’t believe I’ve ever blown much past the more customary daily 20 reviews before, let alone by a couple of doubles. I did so today because the review queues had been swelling into the triple digits again. 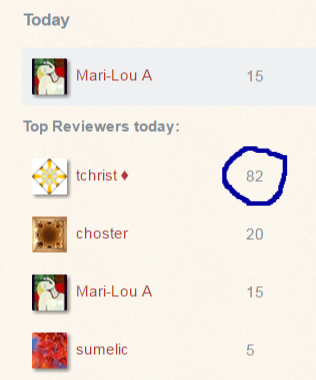 This is happening because the posting rate is much higher than the reviewing rate. We should probably be like the way that the more trafficked sites and each have 40 close votes per day, not the current 24. There’s also a proposal under review by the Powers That Be to scale the number of close votes per day by reputation up to some reasonable finite limit like 100 or 200. (In which case I’d likely be at 80–100 just by reputation alone. 😉 But even if that proposal does get implemented we’d still need more people reviewing, which is a lot more important than how many votes someone has, because it's the only thing that's sustainable, the only thing that scales, and the only thing that doesn’t risk burning somebody out. I haven’t pitched bumping us to 40 a day yet because I was waiting for the other proposal to see some movement in 6–8 time-units. Our long-term close percentage seems to have levelled out at about 60%, which really is quite high compared to most other sites on the network, so I’ve also been thinking about several other specific things we could consider doing to help improve the experience for all these first-time posters who continually post low-quality questions. However, that hasn't gelled into a concrete proposal yet. Not the answer you're looking for? Browse other questions tagged discussion vote-to-close review-queues .